Retail gas prices in the region have been cut in half since 2011, but a degree of pain persists for one class of drivers: those with high-end cars that require high-octane fuel. If you luxury-car drivers feel like you’ve been paying an extra premium for premium fuel lately, you’re right. Data from the U.S. Energy Information Administration show that the price gap between regular unleaded and super unleaded has soared in the past year – the result, experts say, of tight competition for regular gas and costlier processing for the high-end stuff. 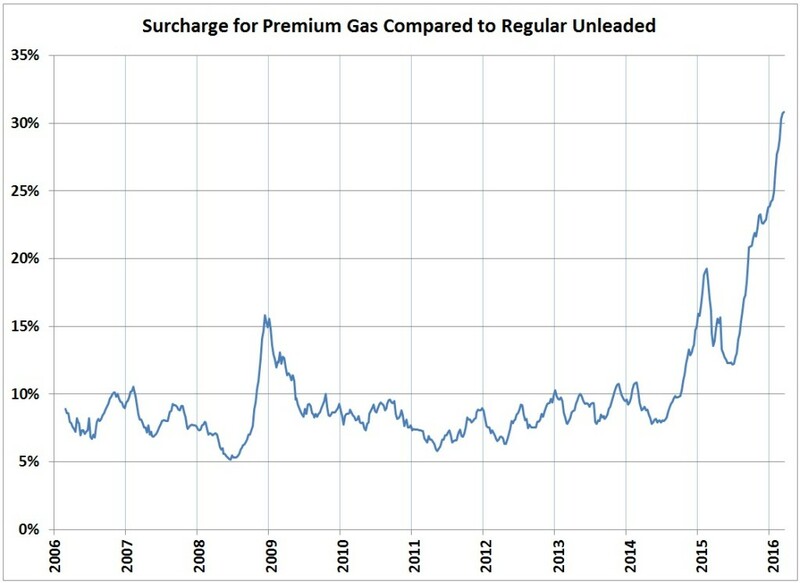 For most of the last decade, as the chart below shows, premium fuel was 7 or 8 percent more expensive than regular. But the gap began rising sharply in mid-2014. After a dip in early 2015, the gap skyrocketed, rising from a 12-percent surcharge last June to nearly 31 percent on Monday. That translates to an extra 55 cents a gallon for premium unleaded today, more than twice the extra cost for most of the decade, even when fuel prices were far higher. And at some stations, the surcharge is far higher. At one West Hartford Shell station, premium users this week were paying an extra 90 cents a gallon – a 47-percent bump – for super unleaded. That’s an extra $25 every time a Lincoln Navigator owner fills up. Why the big gap? Part of the explanation is the hyper-competitive market for regular gas, which makes up the vast majority of a typical service station’s sales. That’s the price most prominently featured on the giant lighted signs at gas stations, and it generates the thinnest profit margins as stations compete for price-conscious consumers. But drivers of pricier cars with more demanding engines tend to be less price-conscious and make for welcome targets as gas station owners look to make up for thin margins on regular gas. At the same time, even with the hefty surcharge, some regular-unleaded users are splurging, since even the inflated prices for high-octane gas are far lower than the prices charged for regular gas just months ago. The current average price for premium gas in New England – about $2.32 a gallon – is 45 cents a gallon cheaper than customers were paying for regular gas last June. As regular-gas users treat themselves to high-test, that changes the supply/demand equation. And some experts also say that boosting the octane of the raw fuel delivered to stations has become more expensive, particularly as the formulation of North American shale oil – the fuel currently in abundant supply – is better suited to regular unleaded than super. “As a result,” according to AAA, “supplies of regular gasoline have remained more plentiful than premium.” And that, too, changes the supply/demand equation. And summer is a mere 111 days away. Claim Check: Tom Foley, Sprague and The Bibb Co.
No matter what twists and turns the gubernatorial race takes in the next 11 weeks, one thing seems abundantly clear: Democrats will never tire of airing video of Republican Tom Foley sparring with workers at a struggling paper factory in Sprague. With Foley’s victory in last week’s Republican primary for governor, incumbent Gov. Dan Malloy wasted no time putting out a TV ad replaying the awkward confrontation – and tying it to Foley’s past control of a defunct textile plant that featured prominently in anti-Foley ads four years ago. U.S. consumers horrified by the tragic building collapse in Bangladesh might want to check the manufacturer’s label on the clothing they’re wearing; data show the compact nation is now the fourth-largest source of apparel imported into the U.S., delivering $4.5 billion a year in goods. 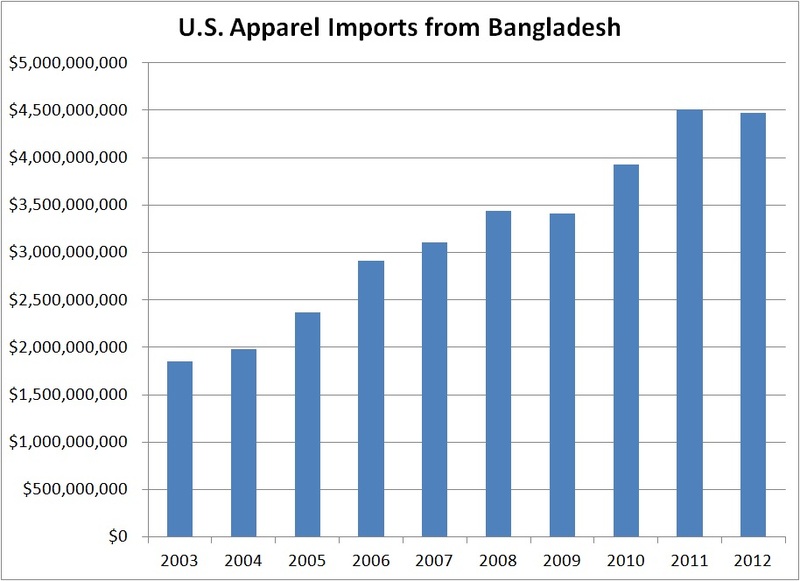 That’s more than double the amount imported from Bangladesh a decade ago, and in that same time frame, Bangladesh’s share of the U.S. apparel market has nearly doubled as well. In 2003, Bangladesh ranked 10th among nations supplying the United States, with 3 percent of all apparel imports, Department of Commerce numbers show. But as manufacturers have sought ever-lower labor costs, that figure has jumped to 5.8 percent. The shift in manufacturing to Bangladesh comes as wages are rising slowly in other apparel-producing countries, including China. Pay in Bangladesh increased three years ago as well, but the minimum wage for garment workers in the country is still about $38 a month. Efforts to increase that amount have met resistance from factory owners and government officials, who fear even a small uptick in wages will lead Western brands to look elsewhere for suppliers. Gov. Dannel Malloy’s proposal to increase the minimum wage in Connecticut to $9 an hour over the next two years predictably has brought strong reactions from those who find it a boost for the working poor that will energize retail sales and those who see it as a jobs killer that will hurt small businesses. 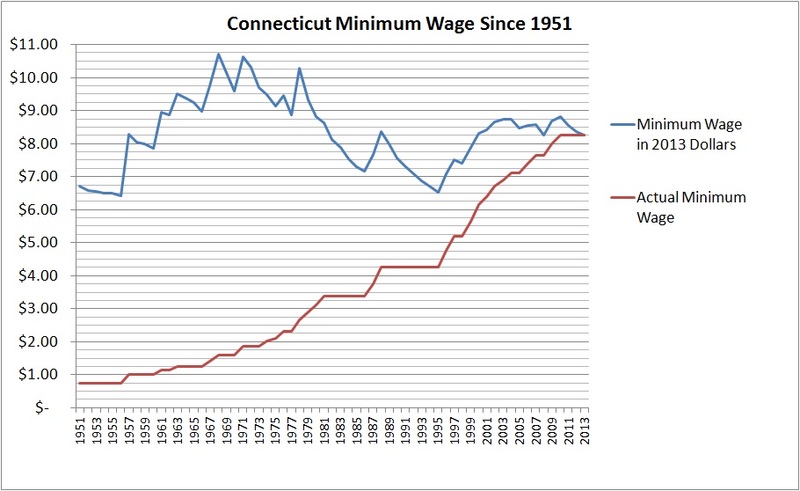 But how does that $9 figure compare historically over the 62 years the legislature has been setting the minimum wage in Connecticut? Higher than average, but hardly unprecedented. As the chart below shows, Connecticut’s minimum wage, in inflation-adjusted dollars, topped the equivalent of $9 an hour for most of the 1960s and ’70s, reaching a peak of $10.63 in 1971. But for the past 34 years, the minimum wage has been set below the equivalent of $9. Both Malloy’s proposal, and the current minimum wage, are far more than the buying power set by the first legislatively established minimum wage in 1951, when the statutory 75-cent wage was the equivalent of $6.71 an hour in today’s dollars. Inflation ate away at that value until the legislature raised the minimum wage in 1957, and since then, the wage has fallen below the equivalent of $6.71 an hour only once – in 1995. When the legislature has boosted the minimum wage – as they have done more than two dozen times since 1951- the new rate on average has been the equivalent of $8.78 an hour. Malloy’s proposal exceeds that by 22 cents, or about $450 a year for a full-time worker. The hacking of the Associated Press’s Twitter account created more than an embarrassment for the global wire service and way too many panicked retweets. 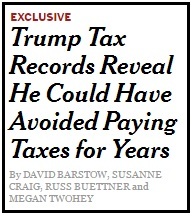 It also caused an ever-so-brief panic on Wall Street. 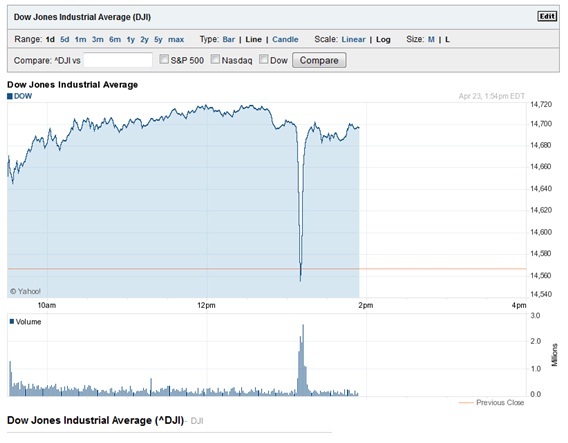 As the chart below shows, trading volume soared and the Dow Jones Industrial Average plummeted (as did broader market indices) following a bogus Tweet indicating multiple explosions at the White House. 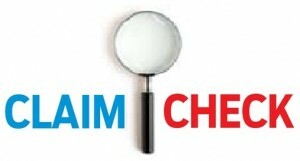 The market quickly recovered, but in that brief window, the market capitalization of U.S. stocks fell and rose by about $180 billion – suggesting that some people made a lot of money, and other people lost it, during the prank. Following the Dec. 14 shootings at Sandy Hook Elementary School, many called for a renewed discussion of gun violence in America, predicting that the tragedy would bring the nation closer to agreement on solutions to keep deadly weapons out of the wrong hands. But the Courant, in collaboration with the PBS show “Frontline,” found that two months after the attack that killed 20 students and six educators, the cultural gulf over guns – in America, in Connecticut, even in Newtown – is deeper than ever, with little common ground between those who see guns as a source of enjoyment and protection and those who see guns only as killing machines. “A Deeper Divide: The Gun Control Debate After Newtown” explores that divide, from a dispute in Newtown last year over unregulated outdoor shooting, to the newly energized supporters of stricter gun-control, to the newly steadfast gun enthusiasts marshaling to defend rights they fear they will lose to what they see as emotional and ineffective legislative proposals. The stories on the gun debate follows the publication of “Raising Adam Lanza” an in-depth examination by the Courant and “Frontline” on the life of the Sandy Hook shooter and his relationship to his mother, Nancy Lanza. At 10 p.m. tonight, “Frontline” will air a special report on both joint projects with the Courant.